The next membership meeting will be held on Thursday, October 25 at the new Florissant Municipal Court and Police Annex facility, 4575 Washington Avenue just north of I-270 (MAP). Refreshments will be begin at 6:30 pm with the meeting getting underway at 7:15 pm. Prior to the membership meeting you will have the opportunity to meet Taylor Duncan. Taylor is only five 5-years old, an yet she has made the national news because she has set a goal to meet and have ice cream with every mayor in the state of Missouri. Taylor, who is home schooled, began this mission because she wanted to learn more about Missouri. With her family’s support, Taylor’s project started in August and through the end of September, she has met with over 100 mayors, including dozens at the MML Conference in Branson. Taylor lives in Waynesville and will travel to St. Louis to attend the League meeting. Program: The speaker will be Judge Douglas Beach, retired presiding judge for the 21st Circuit Court. In 2016 the Missouri Supreme Court mandated new rules for municipal courts throughout the state and ordered the presiding judge of each circuit court to oversee the implementation of the new rules. Judge Beach recently retired from the bench, but was hired by the Supreme Court to oversee and monitor the court reforms in St. Louis County Municipal Courts. Chuck Caverly, Immediate Past President of the Municipal League of Metro St. Louis and Councilman for the City Maryland Heights and Michele DeShay, Mayor of the City of Moline Acres, were elected to the Missouri Municipal League Board of Directors during the MML annual conference in Branson this September. St. Louis City and County announced a $175 million plan to expand America’s Center downtown. The renovations are necessary to compete for big conventions and the thousands of people they bring to the St. Louis area’s hotel rooms and restaurants. The project will add 92,000 square feet of exhibit space along Cole Street and a 65,000-square-foot ballroom along Ninth Street as well as a new pavilion and green space on what is now a surface parking lot. St. Louis City and County’s 1.3 million residents won’t be asked to shoulder any new taxes for the downtown convention center’s expansion, said Kitty Ratcliffe, president of the CVC, which operates the facility. Last November the League membership voted to adopt the St. Louis Area Police Chiefs Association (SLACMA), best practices for law enforcement. As a result of this vote, all League members’ police departments are required to begin a process of certification through either the Missouri Police Chiefs Associate or Commission on Accreditation for Law Enforcement Agencies (CALEA), before January 1, 2019, with the goal of completion by January 1, 2022. Currently there are 52 municipal police departments in St. Louis County, of which 49 are already certified or are in the process. Only 3 departments have indicated they will not pursue certification. The Municipal Park Grant Commission will be meeting on October 12 with the intention of awarding Round 19 grants. 25 applications were reviewed and scored by the municipal park professionals on the Advisory Board and their recommendations have been forwarded to the Commission for final action. Because some previous projects have come in under budget, it appears that the Commission will be able to award about $7.1 million in grants rather than the $6.6 million that was budgeted. Successful applicants will be notified in late October and contracts will be drafted and should be forwarded to the cities in November. The St. Louis County Board of Elections has announced a new feature for voters before the upcoming November Midterm election. Voters can now view the sample ballot for their precinct by going to the Election Board website: https://stlouisco.com/YourGovernment and clicking on “Elections” then “Sample Ballot”. After agreeing to the terms, voters enter their address, and on the pop-up screen the voter can click on their sample ballot, view their polling place name, and find it on the map. 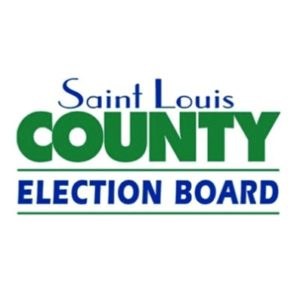 All registered voters in St. Louis County will receive a white notice of election card in the mail, which also includes a sample ballot, approximately one week before Election Day. We suggest voters mark the sample ballot they receive in the mail or the sample ballot they print from our website with their intended selections, so they can use it as a guide while voting. For all other inquiries, contact Cassandra Klosterman, Public Relations Officer at 314-615-1872 or cklosterman@stlouisco.com . Section 190.460 RSMo, passed by the legislature this past year, imposes a statewide service charge of 3% on all prepaid wireless phones and retail purchases. The revenue raised from this prepaid wireless emergency telephone service charge will be deposited in the Department of Revenue’s general fund and the Missouri 911 Service Trust Fund. The Missouri 911 Service Board will then set rates at which to remit the funds from this account back to the counties and affected cities. The statute specifies the rates to be remitted to counties and the City of St. Louis. However, the statute does not clarify what, if any, portion of the funds will be remitted back to other cities. Any funds that cities and counties do receive from the board must be used only for reimbursing expenditures actually incurred in the implementation and operation of the Missouri 911 systems and for the answering and dispatching of emergency calls. The charge will automatically go into effect on January 1, 2019 statewide, unless a city or county opts out. The statute directs the Missouri 911 Service Board to notify all cities in the state that they may opt out of this charge. Accordingly, many cities may have recently received such a notice. If a city desires to opt out of this charge, the city must adopt an ordinance or resolution by at least a two-thirds vote prohibiting the charge. Ordinances or resolutions opting out must be adopted at least forty-five days prior to the effective date—no later than Friday, November 16, 2018. Cities and counties that opt out will not be eligible to obtain any funds from the Missouri 911 Service Trust Fund remitted to the fund under this charge. This law currently provides that it will expire in January 2023. The information above was provided by Cunningham, Vogel & Rost, P.C., a League affiliate. Chris Krehmeyer, CEO of Beyond Housing will discuss Beyond Housing’s work with the 24:1 initiative. 24:1 is a collaboration between the 24 municipalities within the Normandy School District. Topics include the North County Police Collaborative, municipal court consolidation, municipal consolidation as well other work Beyond Housing has done with local governments as it relates to Beyond Housing’s mission of creating thriving communities. Click here to register for the webinar. Or for in person attendance at the Frontenac Cit Hall, email the League office at staff@stlmuni.org. NAVIGATE Building Solutions is a Consulting Firm that provides project management solutions to public agencies and private owners seeking to build new facilities. Their team of specialists have led the Planning, Navigation and Delivery of over 100 projects throughout the Midwest. They specialize in municipal, educational and commercial owner/facility types. Brent Batliner and Stephen Herring from Republic Services discussed issues related to single stream recycling following the announcement that China would no longer import US recyclables. Mr. Batliner indicated that Republic serves 140,000 residential and 18,000 commercial customers in St. Louis County. The crisis is occurring because too much of the residential recycling is contaminated, rendering it unusable for recycling. Paper is the biggest issue as it can get wet or have other materials spilled on to it in a single stream recycling bin. Plastic bags are also problematic as they jam sorting machinery. While some companies will have to discontinue single stream recycling, Republic will still be able accept materials. He indicated his company can handle about 2/3 of the region’s recyclables. New investment will be needed in the US if current recycling levels are to continue. Old paper mills could come back on line to handle the paper products. He stressed that education of residents is needed to reduce the level of contamination so that single stream recycling can continue. If not, cities may need to establish drop off facilities. Dr. Jeffrey Bonner, President of the St. Louis Zoo, presented information on a proposed sales tax increase for the Zoo that will be on the November ballot in St. Louis County. Dr. Bonner noted that the Zoo is an important tourist attraction for the region. It has been named the best free attraction and best zoo in the nation for two straight years. Zoo tourists spend about $41 million annually in the region, including $18 million at the Zoo itself. He also indicated that Zoo staff does a tremendous amount of research on world-wide conservations efforts. Dr. Bonner said that operating costs have increased 36% in ten years, while local property tax revenues have remained relatively flat. The Zoo is a 100 year old campus with much of its infrastructure needing repairs or replacement. They also need more space to house animals. For this reason, the Zoo was able to purchase the Pipefitters campus in Spanish Lake and would like to develop it with features that could include a wildlife adventure and safari experience. Both of these would likely draw a substantial number of tourists. To help fund Zoo improvements and the new property, a 1/8 cent sales tax will be on the November ballot. If approved, County residents would not be charged for the new features but outside visitors would. Dr. Bonner said that he hopes the legislature will consider adding other adjacent counties to the taxing authority. The membership overwhelmingly approved a resolution that urges voters to educate themselves about Proposition D, the gas tax increase that will be on the November ballot. Florissant Mayor Tom Schneider said that he had challenged different regions of the state to see which will have the highest level of voter support. He noted that Governor Parson supports the proposal. We would like to thank Mayor Russ Fortune and the officials and employees of the City of Twin Oaks, who hosted the League for the first time at their impressive new City Hall. The Legislative Affairs Committee met for the second time on October 4, 2018. The committee discussed proposed legislation for the 2019 session, Better Together’s – St. Louis City-County Governance Task Force, and other potential issues facing local governments.